On Wednesday, 5 April, children were observed carrying sharp-edged weapons at a Ram Navami procession in Kharagpur. Present at the occasion was West Bengal BJP president Dilip Ghosh. 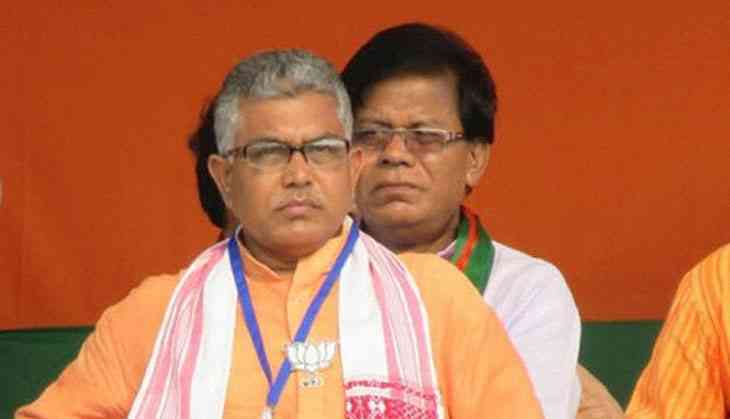 A day later, the police has filed a case against Ghosh. What's more, the case has been filed under a non-bailable section of the Arms Act. Moreover, the police has also slapped suo motu cases against organisers of processions at Entally, Posta and Bhowanipore in Kolkata. They were reportedly carrying weapons more than nine inches long. According to the Arms Act, 1962 if anybody takes part in a rally with a weapon longer than nine inches, he/she is punishable with imprisonment between three and 10 years. Sources in the state police said that the processions that were carried out on Wednesday were aimed mainly at “showcasing and spreading the ideological foundations of a particular party”, rather than being a religious procession.